Note: Some drugs used to treat attention deficit hyperactivity disorder (ADHD)can cause long-lasting and sometimes painful erections. Who should not take Atomoxetine Capsule? What conditions does Atomoxetine Capsule treat? Tell your doctor right away if you have any serious side effects, including: difficulty urinating, unusually fast/irregular heartbeat, fainting, numbness/tingling. Atomoxetine may rarely cause serious (possibly fatal) liver disease. Get medical help right away if you have any symptoms of liver damage, including: dark urine, persistent nausea/vomiting/loss of appetite, stomach/abdominal pain, yellowing eyes/skin. This medication may rarely cause serious problems such as a heart attack or stroke. Get medical help right away if you experience any of the following: chest/jaw/left arm pain, shortness of breath, unusual sweating, weakness on one side of the body, confusion, slurred speech, sudden vision changes. List Atomoxetine Capsule side effects by likelihood and severity. Before using this medication, tell your doctor or pharmacist your medical history, especially of: a certain adrenal problem (pheochromocytoma), bladder or prostate problems, glaucoma, heart problems (such as irregular heartbeat, heart failure, previous heart attack, problems with heart structure), family history of heart problems (such as sudden cardiac death, irregular heartbeat), high blood pressure, liver disease, personal/family history of mental/mood disorders (such as bipolar disorder, depression, psychosis, suicidal thoughts), stroke. What should I know regarding pregnancy, nursing and administering Atomoxetine Capsule to children or the elderly? Does Atomoxetine Capsule interact with other medications? 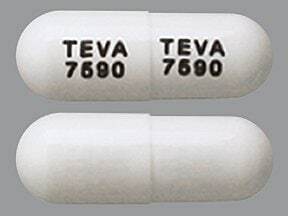 This medicine is a white, oblong, capsule imprinted with "TEVA 7590" and "TEVA 7590". 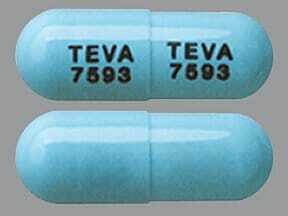 This medicine is a aqua blue, oblong, capsule imprinted with "TEVA 7593" and "TEVA 7593". 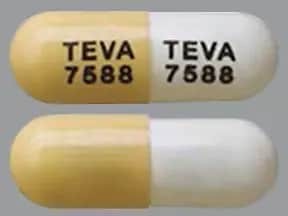 This medicine is a brownish-yellow white, oblong, capsule imprinted with "TEVA 7588" and "TEVA 7588". 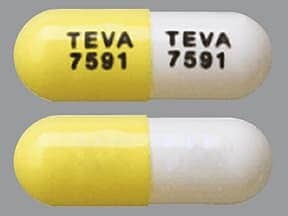 This medicine is a yellow white, oblong, capsule imprinted with "TEVA 7591" and "TEVA 7591". 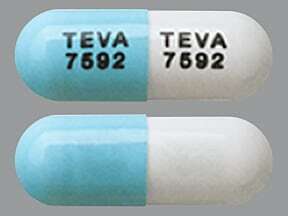 This medicine is a white blue, oblong, capsule imprinted with "TEVA 7592" and "TEVA 7592". 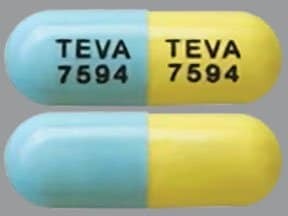 This medicine is a aqua blue yellow, oblong, capsule imprinted with "TEVA 7594" and "TEVA 7594". 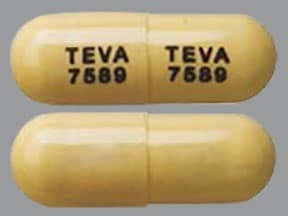 This medicine is a brownish-yellow, oblong, capsule imprinted with "TEVA 7589" and "TEVA 7589". 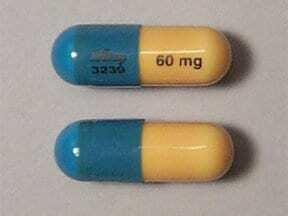 This medicine is a gold blue, oblong, capsule imprinted with "Lilly 3239" and "60 mg". 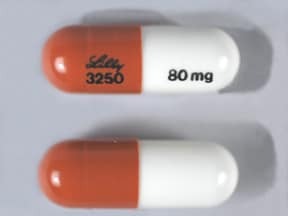 This medicine is a white brown, oblong, capsule imprinted with "LILLY 3250" and "80 mg". 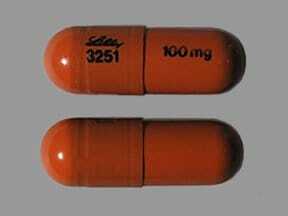 This medicine is a brown, oblong, capsule imprinted with "LILLY 3251" and "100 mg". 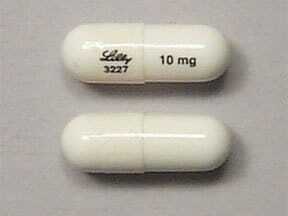 This medicine is a white, oblong, capsule imprinted with "Lilly 3227" and "10 mg". 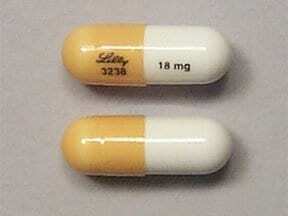 This medicine is a white gold, oblong, capsule imprinted with "Lilly 3238" and "18 mg". 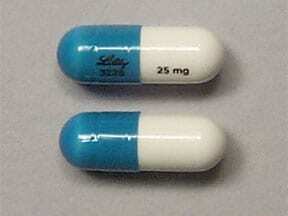 This medicine is a white blue, oblong, capsule imprinted with "Lilly 3228" and "25 mg". 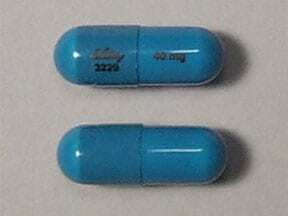 This medicine is a blue, oblong, capsule imprinted with "Lilly 3229" and "40 mg". 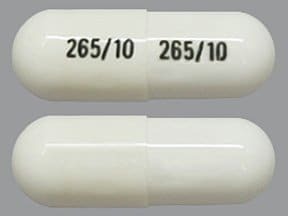 This medicine is a white, oblong, capsule imprinted with "265/10" and "265/10". 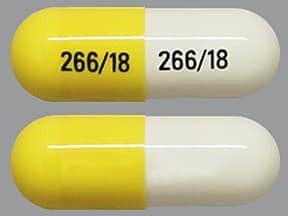 This medicine is a yellow white, oblong, capsule imprinted with "266/18" and "266/18". 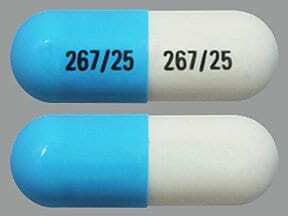 This medicine is a white blue, oblong, capsule imprinted with "267/25" and "267/25". 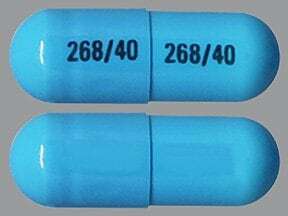 This medicine is a blue, oblong, capsule imprinted with "268/40" and "268/40". 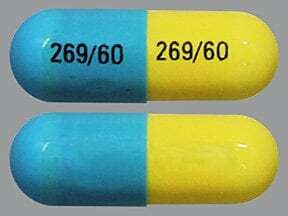 This medicine is a yellow blue, oblong, capsule imprinted with "269/60" and "269/60". 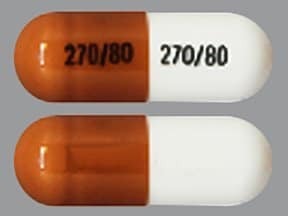 This medicine is a reddish-brown white, oblong, capsule imprinted with "270/80" and "270/80". 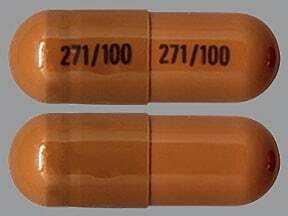 This medicine is a reddish-brown, oblong, capsule imprinted with "271/100" and "271/100". Are you taking Atomoxetine Capsule? Are you considering switching to Atomoxetine Capsule? How long have you been taking Atomoxetine Capsule?